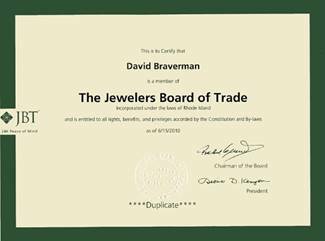 David Braverman the founder and owner of diamonds-USA.com is a third generation diamond cutters. As one of the first Diamond Jewelry websites, Diamonds-USA.combegan serving global customers as far back as 1997. Loose diamonds, engagement rings, diamond earrings and diamond pendants, direct to the public. Since the innovation that Diamonds-USA brought to the Internet and the USA has consistently sought to enhance customer satisfaction with a wide and varied product range and a range of unique customer loyalty and retention schemes. Diamonds-USA.com is virtually unmatched in delivering that personal touch that adds romance to every relationship unified with one of David's diamond engagement rings. 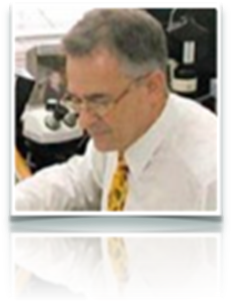 No matter how much Diamonds-USA has grown and expanded, there is not a single diamond that enters or leaves the business without David's experienced eye checking for quality and value for money. This remains David's personal commitment to every customer. We offer our many thousands of customers the best customer service possible, before and after your purchase. We will work with you to find you the diamond ring or other diamond jewelry of your dreams, by web, phone or email. Our customers are our advert. Every loose diamond on our website is available in a huge selection of platinum diamond settings. As our jewels are manufactured in. All jewelry can be custom made in any combination you desire, and in the metal of your choice. 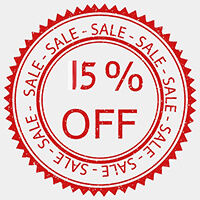 We have a simple and straightforward Full Money back Guarantee. In the unlikely scenario that you're not completely satisfied with your purchase, just let us know within 10 days of signing for the parcel. Should you wish to extend the inspection period all you have to do is ask, we will always extend it within reasonable period. 4. Where do we ship? We sell and ship diamond engagement rings and all our diamond jewelry worldwide, every diamond purchase is delivered using free insured shipping services to your doorstep. Your diamonds are safe with us (we do not ship to central and north Africa, middle east, Indonesia, Iraq & Iran). Diamonds-USA have won so many awards and certifications over the years it would take a lot of space to show them off. How trustworthy is Diamonds-USA? Do they have a BBB rating? Diamonds-USA is not accredited with the Better Business Bureau nor do we have a BBB rating. Our BBB file was opened in 2006. Over the last 3 years, there has been zero complaints filed against us with the Better Business Bureau. I am pleased to inform you that your company was elected a member of this board of trade at a regular meeting of the board of directors held in Providence, Rhode Island, on 9/17/97. Your certificate of membership is enclosed. This is a cooperative association, and I trust you will use our services freely to obtain the full benefit of your membership.